Home 2017 GRAN PREMIO MOVISTAR DE ARAGÓN motogp Movistar Yamaha MotoGP RAC Valentino Rossi Rossi: “Until a week ago I didn’t know if I could race"
Rossi: “Until a week ago I didn’t know if I could race"
Knowing he would suffer but saying he’d try, an injured Valentino Rossi (Movistar Yamaha MotoGP) had already stunned on Saturday at MotorLand to get on the front row – and then came home in the top five on race day. 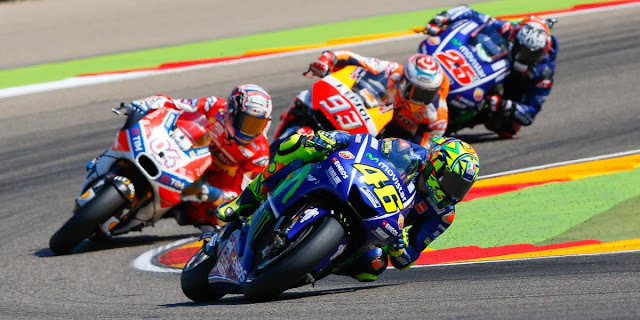 Not only that, the Italian was able to close on the lead and battle both Repsol Honda riders Marc Marquez and Dani Pedrosa, as well as teammate Maverick Viñales – with that getting pretty close in the latter stages. Over the line, the nine-time World Champion was only half a second off his teammate, 24 days after breaking his tibia and fibula. “I’m very proud and very happy because one week ago I didn’t know if I am able to race,” said Rossi on Sunday evening. “But we work well. We made the right choice. Perhaps risking a bit but I want to try not to lose another race because the more races you lose, the more time you need to come back to your level. “It was a good weekend because I always feel quite good with the bike – not 100 percent for sure, with some pain but I can ride in a good way. Starting from the front row yesterday was already great. I was very happy. I know that today in the race it would be more difficult. “But, anyway, it was a great race. I did a good start and in the first laps, I was strong. I can fight for the victory with Lorenzo and Marquez. In the second half of the race, I know that I have to suffer. I was more tired than normal and I feel some pain. Had he expected to be so competitive through the 23 laps? 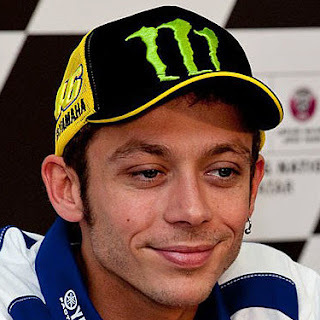 “In this occasion, I think that you have to have the mind open because you don’t know what’ll happen,” Rossi explained. “Maybe I go on the bike and I’m not able to ride. But at the same time if you don’t feel too much pain you have to try to push at the maximum, no? “Every day it’s coming better. From Friday to Saturday there was a good step. From yesterday to today, no. I feel a bit tired and I have some pain but it’s normal. Anyway, I can ride at a good level, and I am happy because I did a good start and I ride well during the race.